Last month’s Loot Crate will be a tough one for the company to beat. This month’s theme, Build, promised to continue the streak of awesome boxes Loot Crate has been giving us lately. It promised to include items for a number of franchises that interest me, including Batman, Lego Dimensions, and Power Rangers. As usual, the contents appear to be inspired by a couple of movies, namely The Lego Batman Movie and the new Power Rangers movie. Let’s build a review out of these components. Don’t tell my fellow writers this, but I actually really like Lego Dimensions. Don’t get me wrong, it isn’t anywhere near as good as Skylanders, but I do at least like the combinations of characters and settings you can put together. Sonic the Hedgehog piloting the Tardis in Springfield? Yep, we got that. 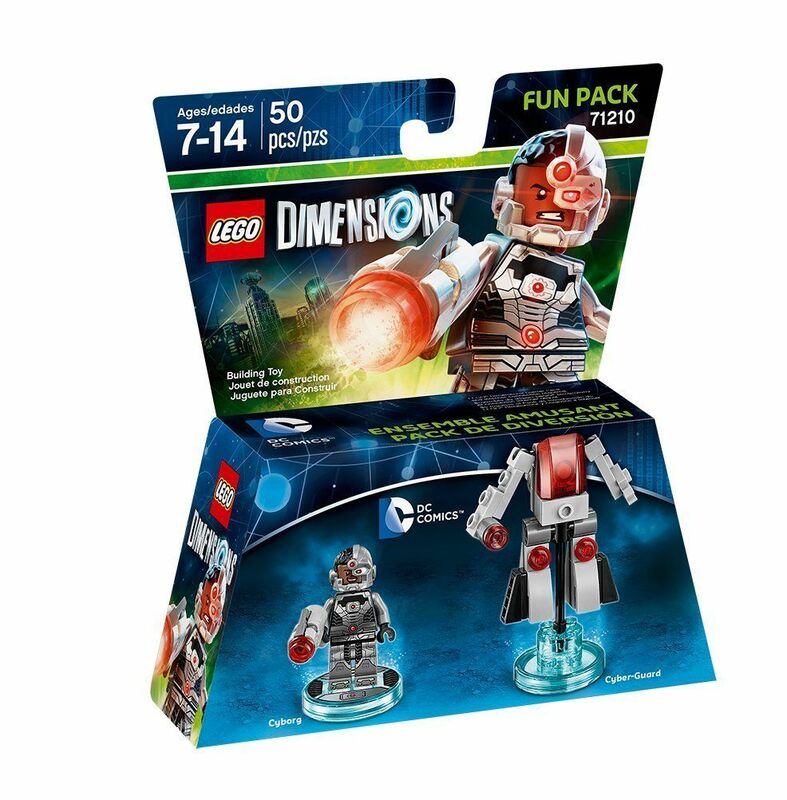 The crate includes one of a few Fun Packs, which each include one character and one vehicle. The possibilities are Bad Cop, Unikitty, or Benny from The Lego Movie; or Cyborg or Wonder Woman from DC comics. Disappointingly, these two franchises are already represented in the game’s Starter Pack, so you won’t be opening any new worlds. Still, it’s always nice to get genuine Lego, and the figures are cool even if you don’t have the game. If you do have the game, it’s always good to have more characters, especially if they have abilities your other characters don’t. 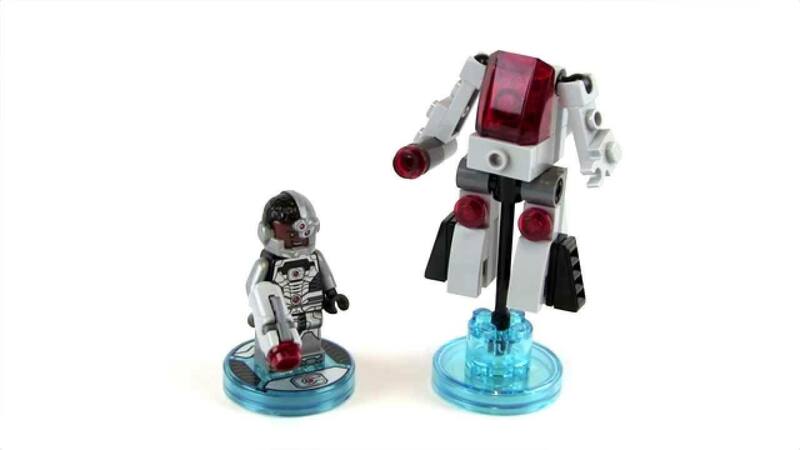 I got Cyborg, which isn’t the one I would have chosen, but I really like his mech; it’s one of few in the game. This one’s a little bit confusing. 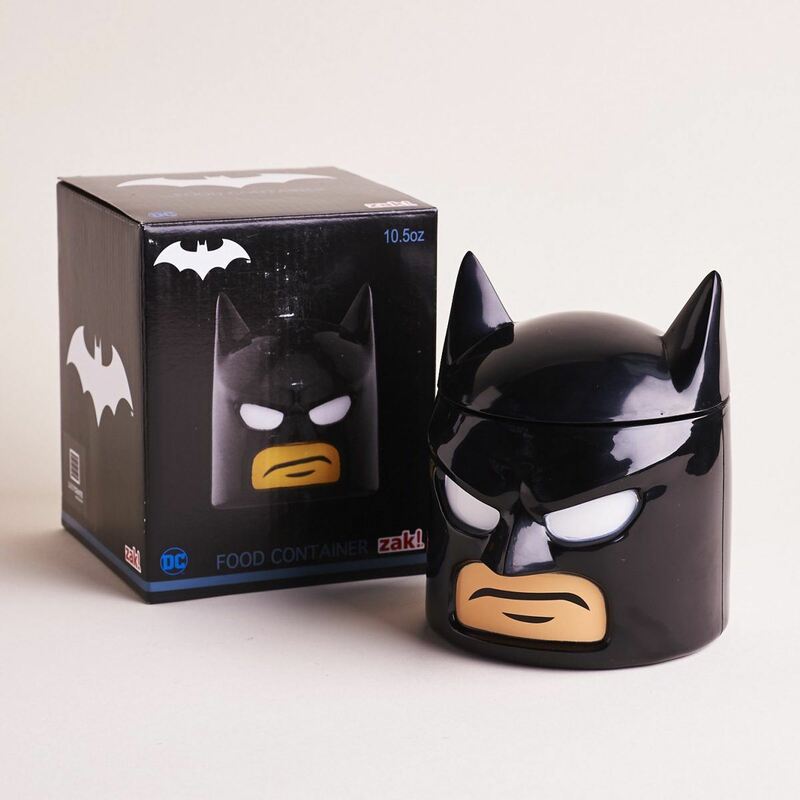 It’s basically a thermos sort of thing, shaped like the head of a Lego Batman minifig. 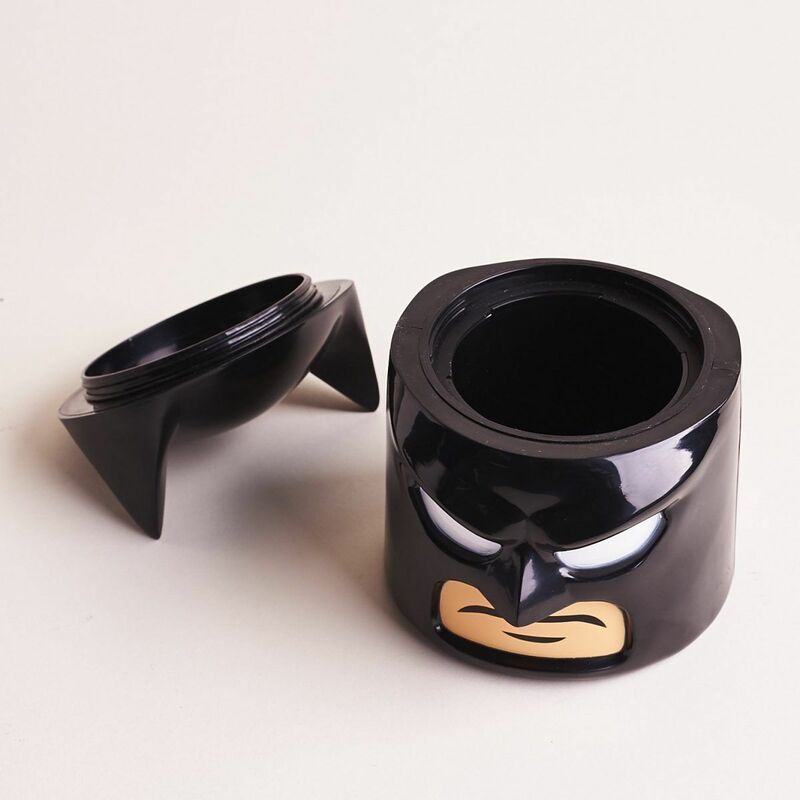 The idea is that you can have any kind of food in there and it will keep its temperature. That isn’t something that really comes up a whole lot for me, but it can also be used to hold random snacks. Right now mine is filled with honey roasted peanuts. It has a very secure top, which is nice. As kitchen-related items go, it’s more useful than a lot of things I’ve received in subscription boxes. It’s only defeated by the Sonic Screwdriver spork, also from Loot Crate. Anyone else having a feeling of deja vu? 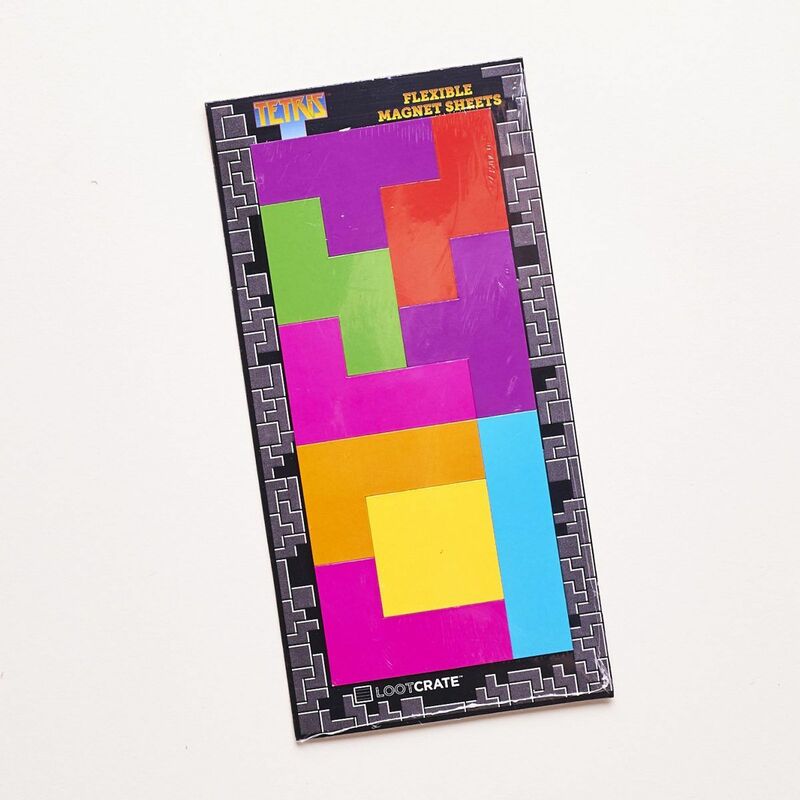 Yes, we have indeed received Tetris Magnets from Loot Crate before. I didn’t think much of them then, and I don’t think much of them now either. Granted they aren’t exactly the same as last time; this time they’re bigger and there are fewer pieces. That’s about it. They’re still pretty boring and they still aren’t really strong enough to put anything bigger than a note sheet on your refrigerator. I grew up with the original Mighty Morphin Power Rangers, and I’m a big fan of memorabilia from the show. 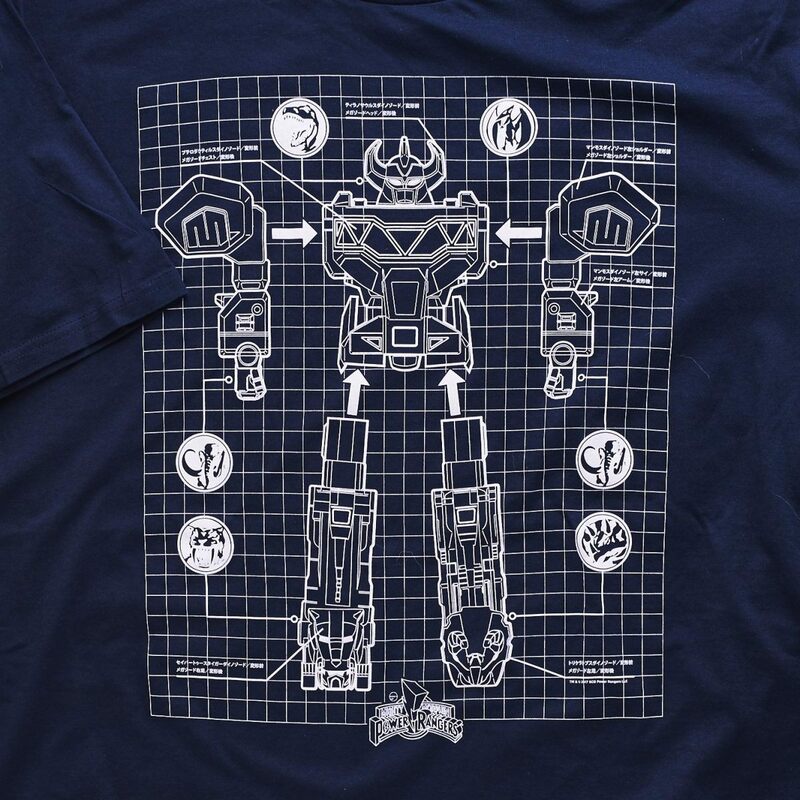 This shirt is actually very similar to the Voltron blueprint shirt Loot Crate had ages ago, but with the original Megazord instead. It even features the designs from the Power Coins to label each part. Granted, maybe it isn’t the coolest Power Rangers shirt design they could have come up with, but at least it’s unique. It makes my third Power Rangers shirt and my second one from Loot Crate, but that’s not necessarily a bad thing. As has generally been the case lately, Loot Crate has knocked the pin out of the park. This time it’s a full color representation of the classic Megazord and it “unlocks” three digital comics from the current ongoing Power Rangers series. 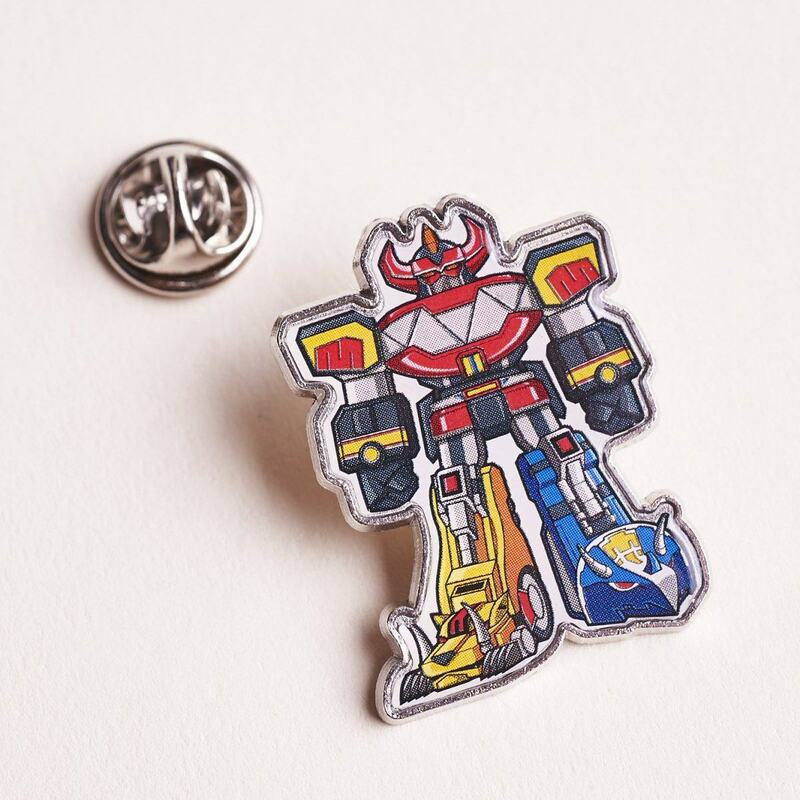 The pin is awesome, of course, and I’ve been hearing good things about the comic series. I’ve been meaning to get into it, and this is the perfect excuse. It is also a great value, like last time. What else is there to say, really? Loot Crate has once again delivered something pretty cool for the value. 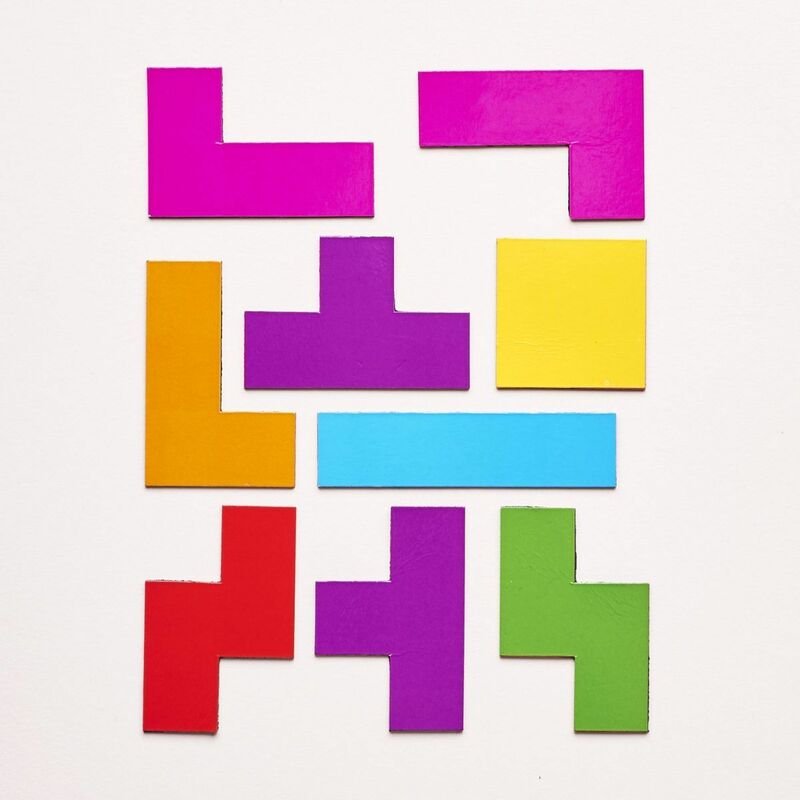 I could do without extra Tetris magnets, but otherwise the items work very well and play off the theme in a good way. In terms of the value itself, I estimate the items are worth around $60 together, which isn’t bad at all for $20. March’s theme will be Primal, but the promised franchises aren’t necessarily what I would think of with that word: X-Men, Overwatch, and Predator. If you want to give Loot Crate a try yourself, you can click here.